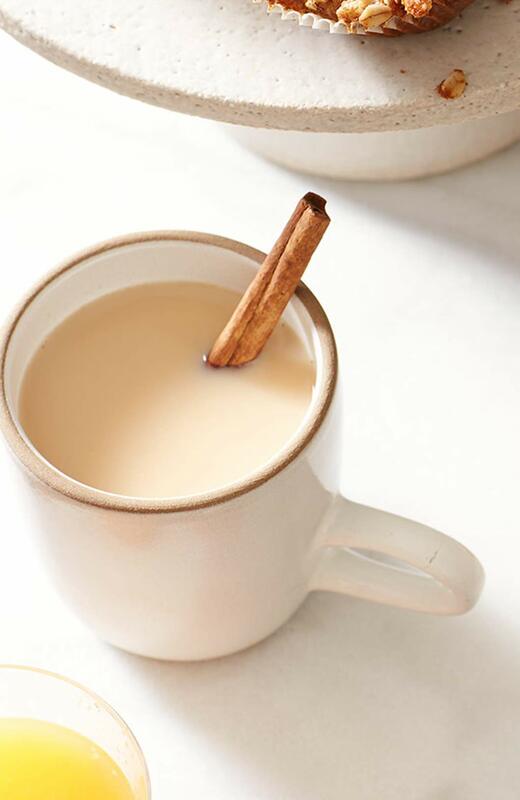 If desired, use a milk frother to create foam for topping the chai tea. In a small saucepan over medium heat, bring the almond milk, cinnamon sticks, peppercorns, cloves, and cardamom pods to a simmer and cook 5 minutes. Remove from the heat and steep for 5 minutes. Strain, discarding the solids, add maple syrup to taste, and enjoy warm or over ice.